Initially, there was outrage and opposition. But as the settlement was transformed into an ultra-modern city, resistance grew less. The lives of citizens became more and more comfortable and they accepted media’s portrayal of their segregated society as unfortunate, but unavoidable. I'll admit, I wasn't going to pick this book up at first. The cover does nothing for me to describe what's inside. But after reading the other review I decided not only to pick it up, but the next two volumes as well.This has very distinct flavors of Brave New World in it, but the author took it a lot further. The beginning was hard to keep up with and it took a little while to get invested in the various characters. I continued on and by the end I was interested enough to be glad I have the next two books ready to read.And yes, this ends in a cliffhanger. I usually run from these like Superman from kryptonite. I'm this case, I can't wait to see what happens next.One star off for the confusing start and the cover art, but a strong recommend on the story. I really loved this book!As a fan of classic British sci-fi, I recognized the influences of Huxley and Orwell, two of its 20th century standard-bearers. But Peters has something more here, elements of who-done-it suspense and redemption amidst a domed-dystopian backdrop. Buckminster Fuller once said, "Domed living is better than doomed living," but the premise of this novel rather counters that maxim. 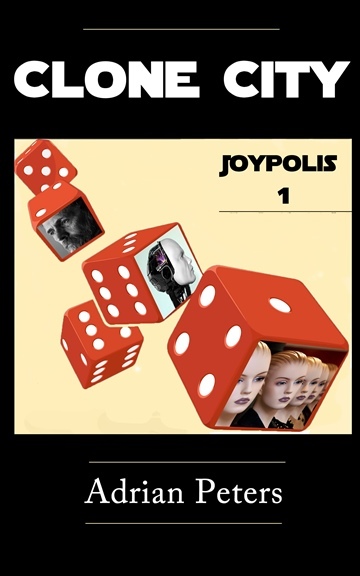 Clone Wars, Joypolis book 1, is the beginning of an extra-Ordinary adventure of the mind.